Error 211 is an error that occurs in other Windows®-based computers although it usually happens when installing a network adapter in a Windows 7 computer. To resolve this error, you need to manually install the driver of the network adapter. This article will show you how to manually install the driver to work with Windows 7 computers. NOTE: If you encounter this error during the installation of your adapter, click Exit and remove the Setup CD, then restart your computer. Visit the Linksys Support Site and download the correct driver for your adapter. For instructions, click here. To download the user guides for Linksys Wireless Adapters, click here. Plug in the Network Adapter to your computer. 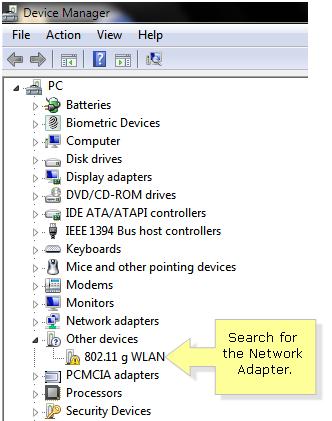 Go to the Device Manager window and search for the network adapter. You will see a Windows warning icon next to your adapter since the driver has not been installed yet. To learn how to go to the Device Manager window, click here. 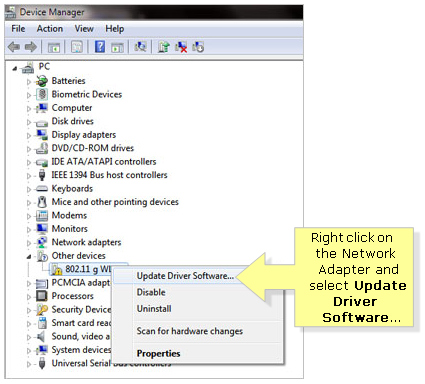 Right-click on the network adapter and select the Update Driver Software... option. 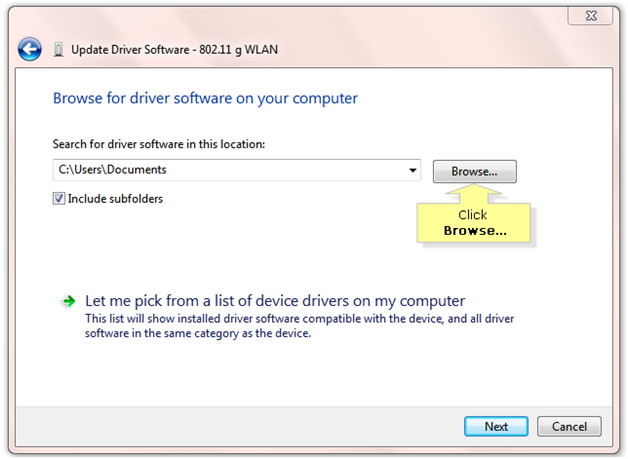 In the Update Driver Software window, select Browse my computer for driver software. Click the Browse… button to search for your driver. Browse for the folder that contains the downloaded driver that you saved in your computer. Select the file and click OK. 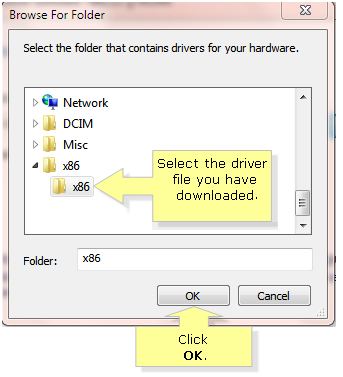 NOTE: After selecting the folder, the driver will be installed automatically. 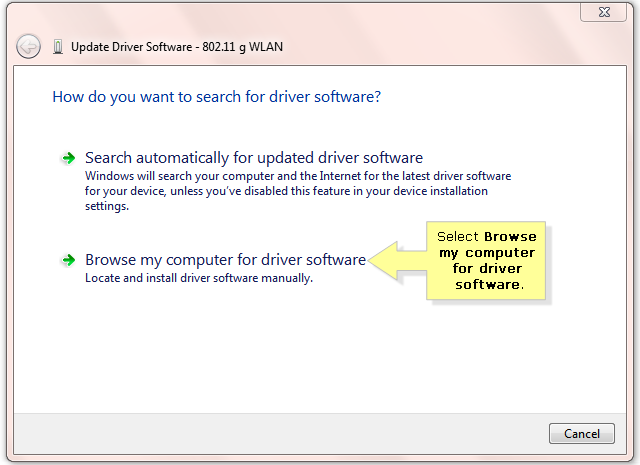 A confirmation window will appear on your screen stating that your driver software has been successfully updated. Click Close to exit. You should be able to see the name of your network adapter in the Device Manager window. This indicates that the driver of your adapter has been installed successfully.